These ketchup sachet can fully decompose within approximately four to six weeks. Have you ever tried ketchup on seaweed? How about ketchup in seaweed? As unusual as that may sound, it’s one firm’s approach to reducing the food industry’s dependence on plastic. The food delivery startup Just Eat, which operates in 13 countries worldwide allows customers to order food from a variety of restaurants via its app. Currently on trial, the company is serving ketchup sachets that are fully compostable. The sachets were developed by Skipping Rocks Lab, a London-based sustainable packaging company established by graduates of the Royal College of Art and Imperial College London. Holding either ketchup or garlic sauce, they function in the same way as traditional plastic with one important difference. Once disposed of, the sachets fully decompose within approximately four to six weeks, which is around the time it would take for a piece of fruit to decompose. And that’s because they’re made entirely from seaweed and other plant-based materials. With global plastic production running in excess of 300 million tonnes per year, this is the latest in a series of announcements and initiatives from the food industry to limit the use of plastic packaging. And with a rising tide of sustainable packaging announcements, we could be on the cusp of a breakthrough in plastic-use reduction. There are other innovative approaches to alternative packaging being developed, including one that owes a debt of thanks to the humble crab. Researchers at the Georgia Institute of Technology in the USA have been working on a process that combines crab shells and tree fibres. Multiple layers of chitin from crab shells and cellulose from trees are sprayed in very thin layers to form a flexible film, which has similar properties to plastic food wrapping. Furthermore, there’s no dilution in effectiveness when using these naturally-occurring materials. This is due to the crystalline structure of the film: Gas molecules can’t easily penetrate a solid crystal barrier. 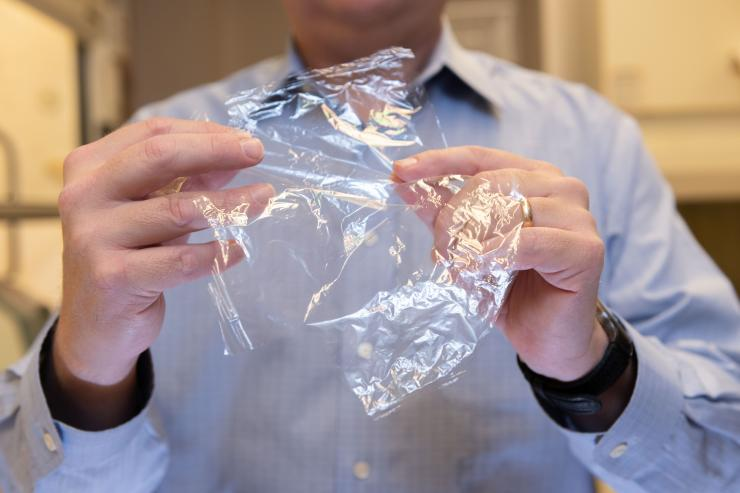 Given that keeping food fresh for as long as possible is the primary reason for the use of plastic packaging, the superior oxygen prevention capabilities of the new material bodes well for its future adoption by the industry. Professor J. Carson Meredith holds a sheet of film made from crab shell-sourced chitin and cellulose from tree fibres. Researchers in the UK have come across an enzyme that can break down one of the most commonly used and thrown-away types of plastic, polyethylene terephthalate or PET. Used in the mass production of a wide range of items, including drink bottles, PET breaks down very slowly, and under normal circumstances would persist in the environment for hundreds of years. The enzyme, known as PETase, was identified during research into cellulose and has the potential to dramatically reduce the amount of plastic waste in landfill sites. 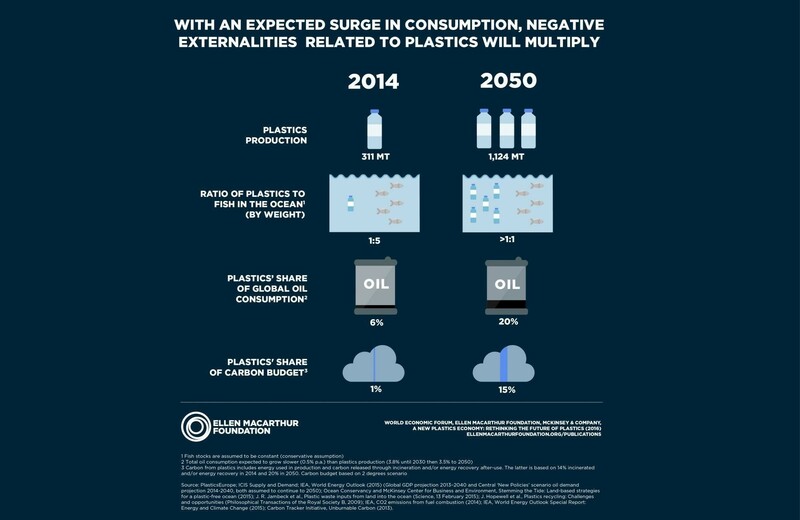 But while groundbreaking developments may help reduce pollution and decrease manufacturers’ reliance on plastic in the future, there are immediate and pressing concerns that the industry and regulators are beginning to address. One of the biggest areas of present-day concern is the prevalence of single-use plastics like straws or coffee cups and their lids, which dominate the take-out food sector. Used once and then discarded, they are attracting mounting criticism and there are now a number of important drives taking place across the world to address the problem at source. Used once then thrown away, is time up for single-use coffee cups? There are small-scale measures, such as the UK food retailer Waitrose no longer offering takeaway cups for customers wishing to use its in-store drinks machines. There are state-level initiatives, such as the ban on single-use plastics in the Indian state of Maharashtra, home to the city of Mumbai and its population of 21 million people. But there are global developments too. Active in around 100 countries, McDonald’s is one of the most instantly recognizable food brands in the world. 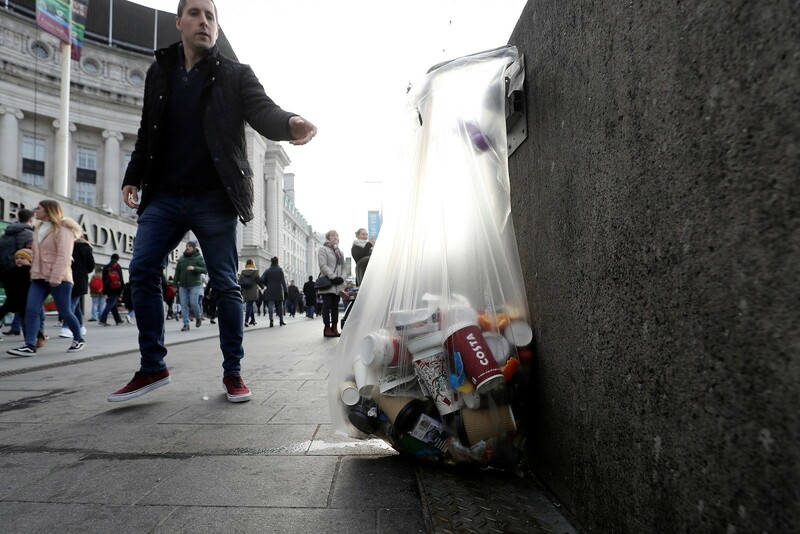 It has also set itself some challenging targets for waste reduction, including recycling 100% of food packaging, and only using packaging made from recycled, renewable, or certified materials – all by the year 2020. As part of this strategy, McDonald’s is set to phase out the use of plastic straws, using paper instead. It's starting in restaurants across Belgium, Ireland and the UK, before rolling out to other parts of Europe and the US. Starbucks is another global food brand with plans to reduce waste, cutting the use of plastic straws in particular. And earlier this year, it announced it would be investing $10 million in the NextGen Cup Challenge, which seeks to develop an environmentally friendly disposable coffee cup. McDonald’s has also joined the NextGen Cup challenge and says it is committing $5 million to the initiative. Coffee cups have been singled out for criticism for being both single-use and virtually unrecyclable, due to the thin film of plastic that lines the inside of cups. According to some estimates, 600 billion of these cups are manufactured and distributed globally each year. There will be no silver bullet that puts an end to the problem of plastic waste. But it is clear action needs to be taken. 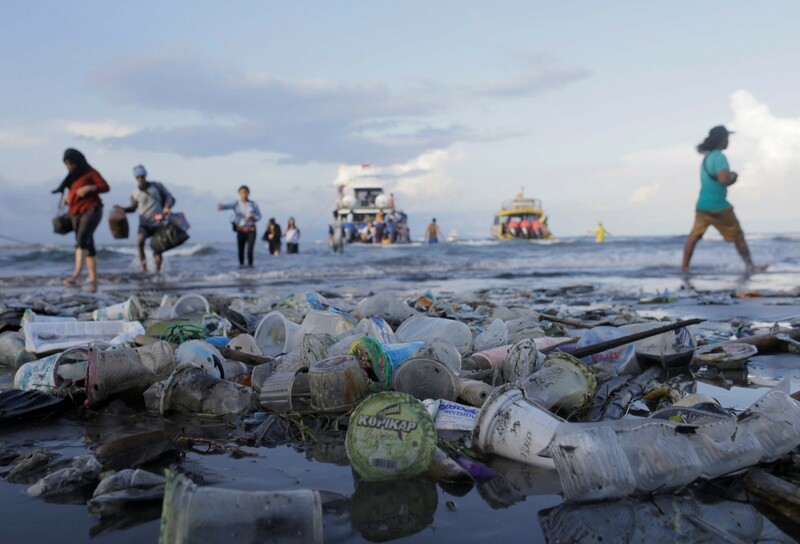 According to the Ellen MacArthur Foundation, by the year 2050 there could be more plastic than fish in the sea (by weight), while failing to recycle high volumes of plastic is costing industry $80-120 billion per year. Solving the problem will call for changes in supply-side behaviour just as much as curbing demand. Those changes will need to be both long and short-term in nature – offering quick-fix alternatives now, while seeking out brand new packaging materials for the future. While the extent of the pollution problem gives little cause for optimism, the picture isn’t entirely bleak. With some of the food industry’s most influential brands actively seeking and supporting research in this area, and already swapping out unnecessary plastic items, the push for positive, sustainable change is gathering momentum.